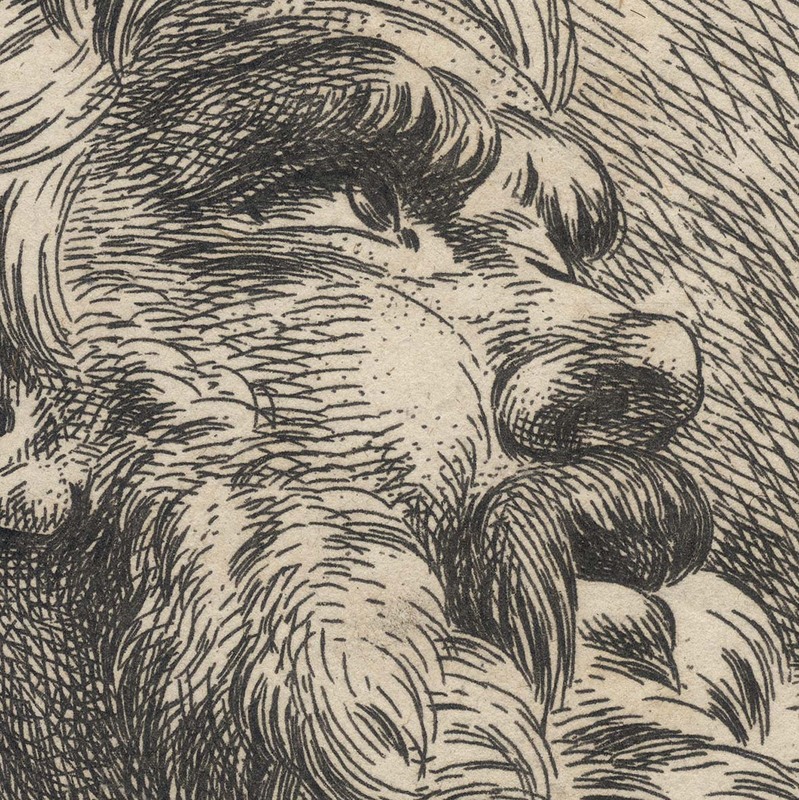 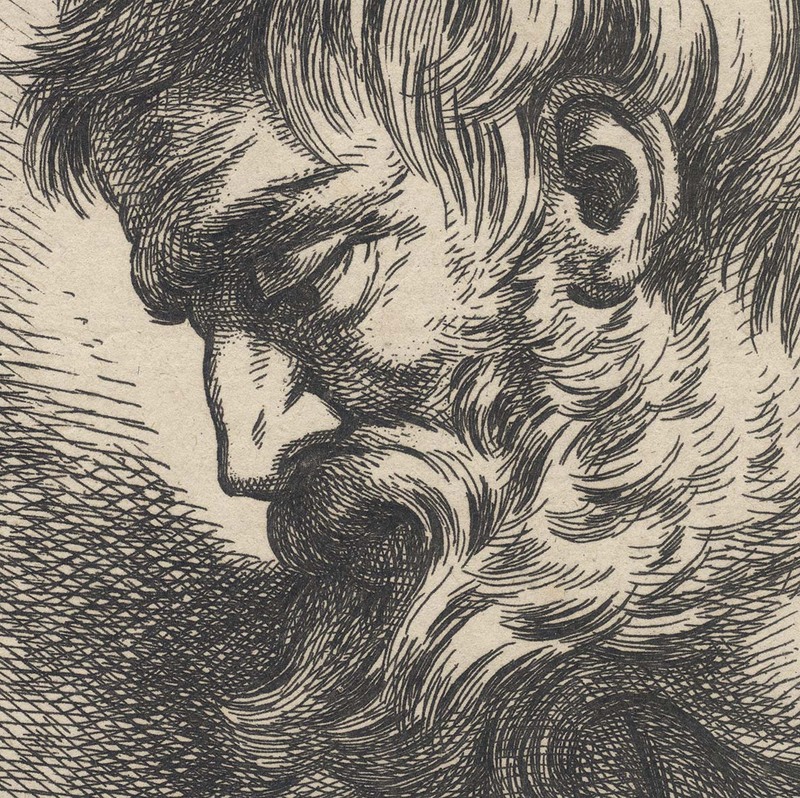 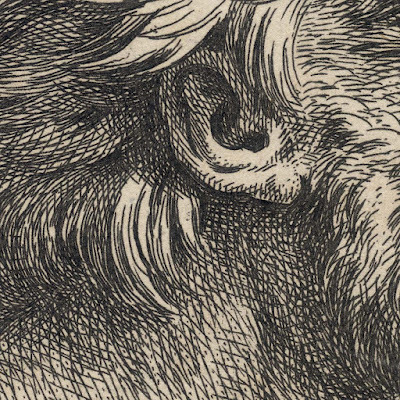 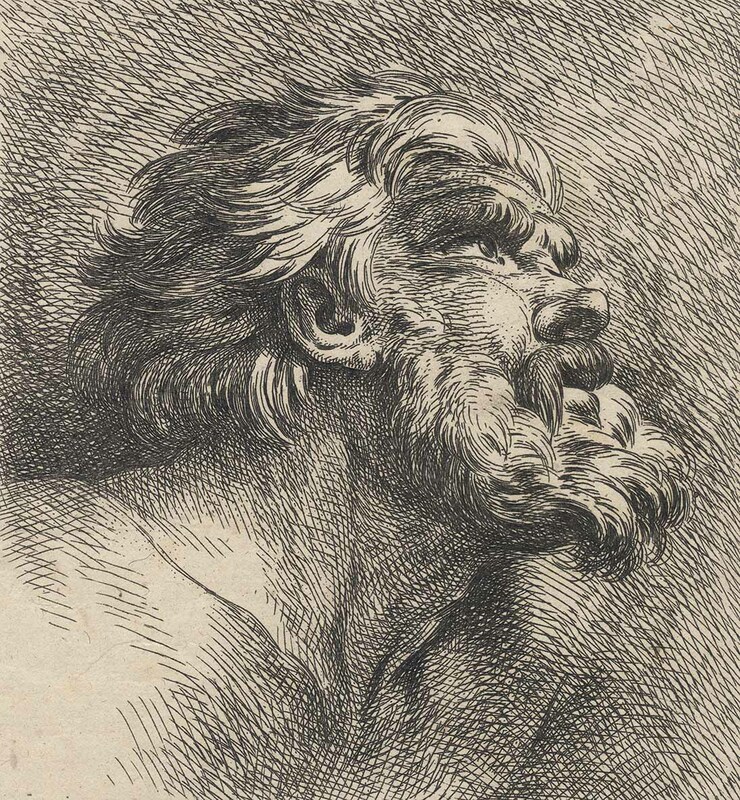 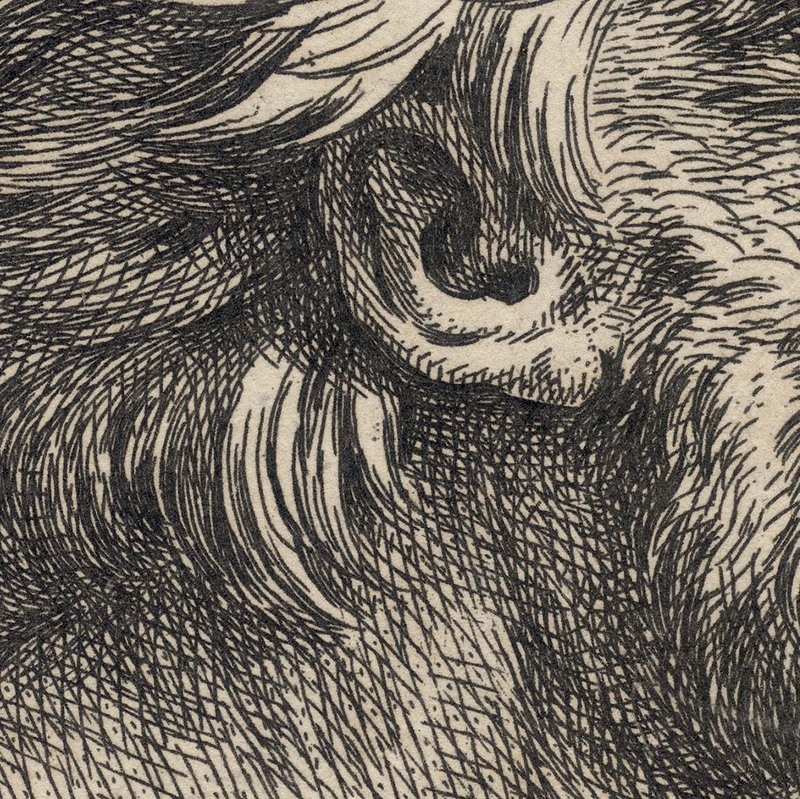 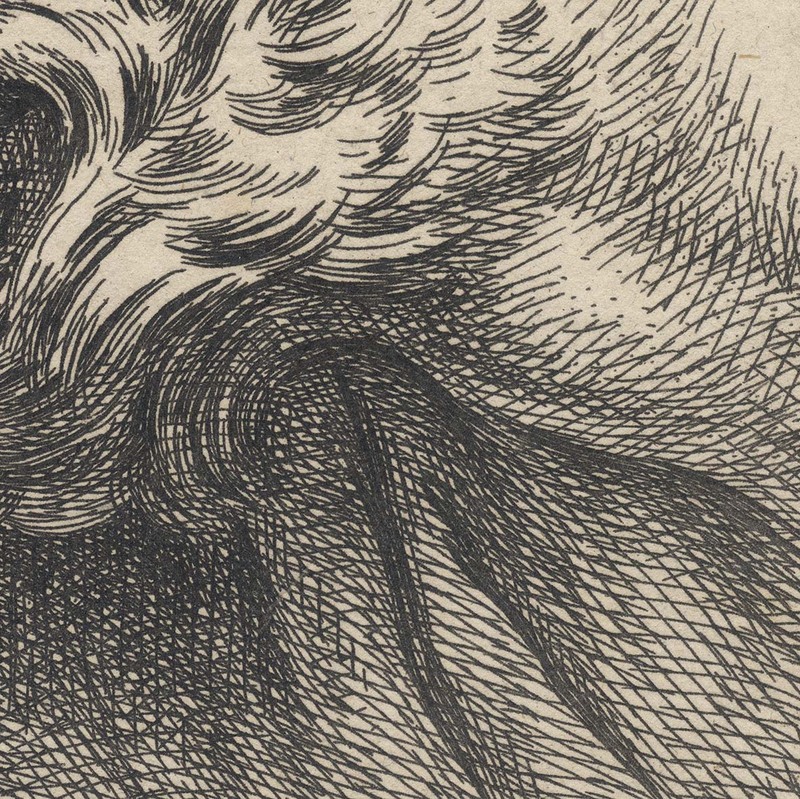 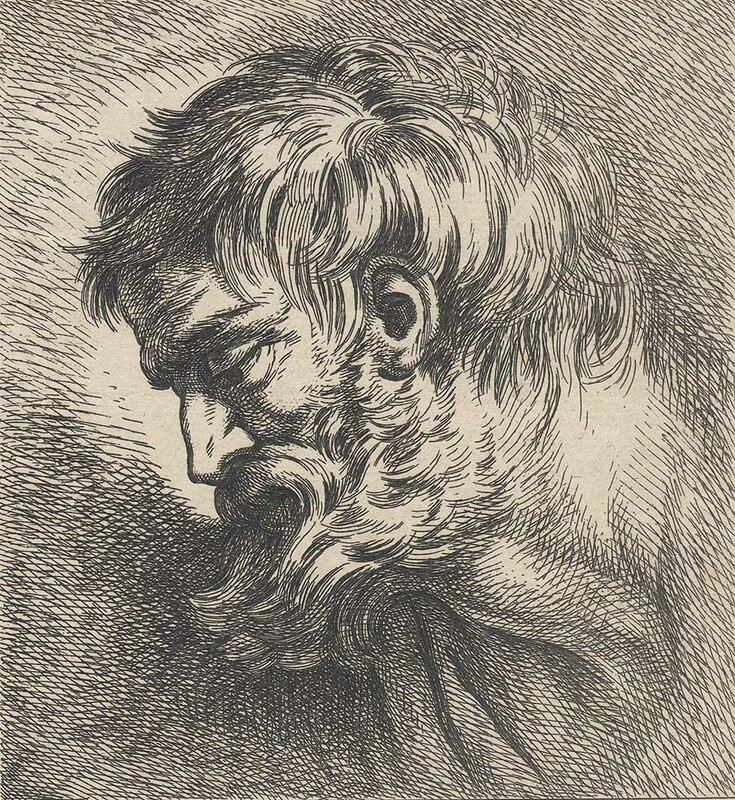 “Head of a bearded man, in profile to right, looking upwards”, 1796/7, the middle-left section of plate 10 from the series of 38 plates, “Oeuvres de J. 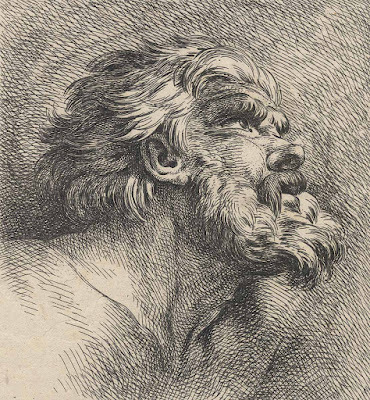 B. Huet” (aka “Cahiers d'études”), published according to BM curator: “in several parts and dated 1796–1799 (Republican years 4-7)” (1860,0211.181). 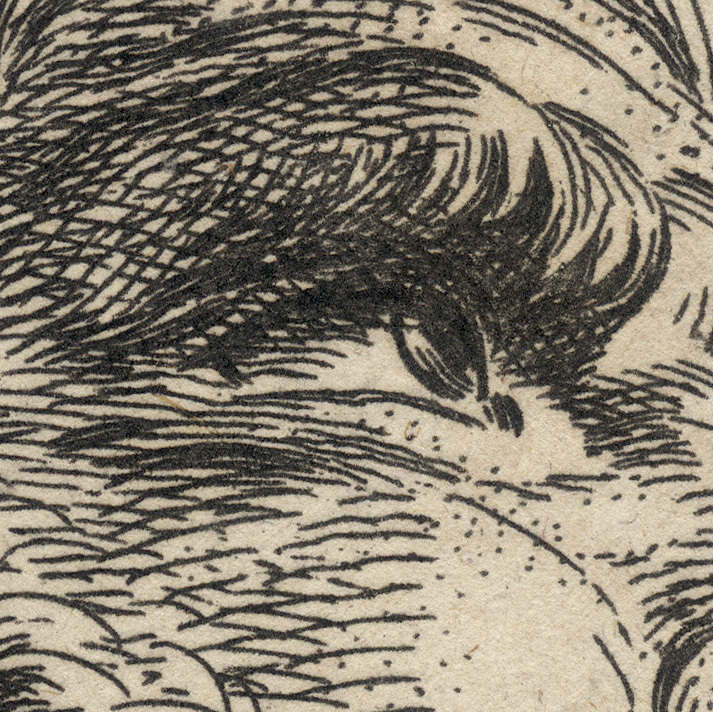 Etching on heavy cream laid paper trimmed with margins around the image borderline. Inscribed on plate below the image borderline: (left): “J. 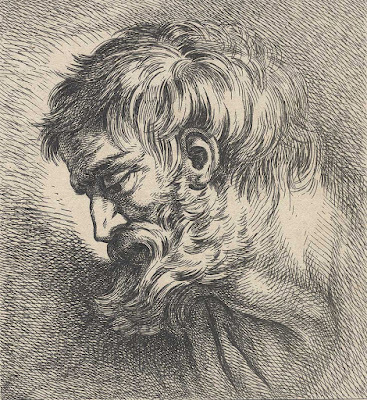 B. Hüet l'an 5”. 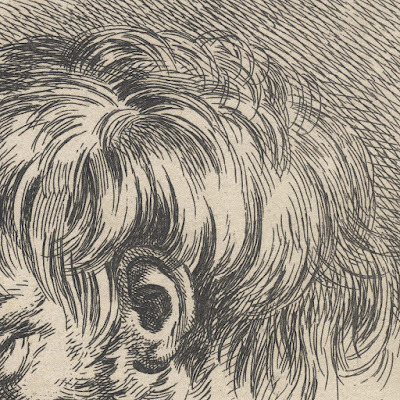 Condition: faultless impression, trimmed irregularly from a larger composite image—this is the middle-left section—with margins around the image borderline in near pristine condition (i.e. 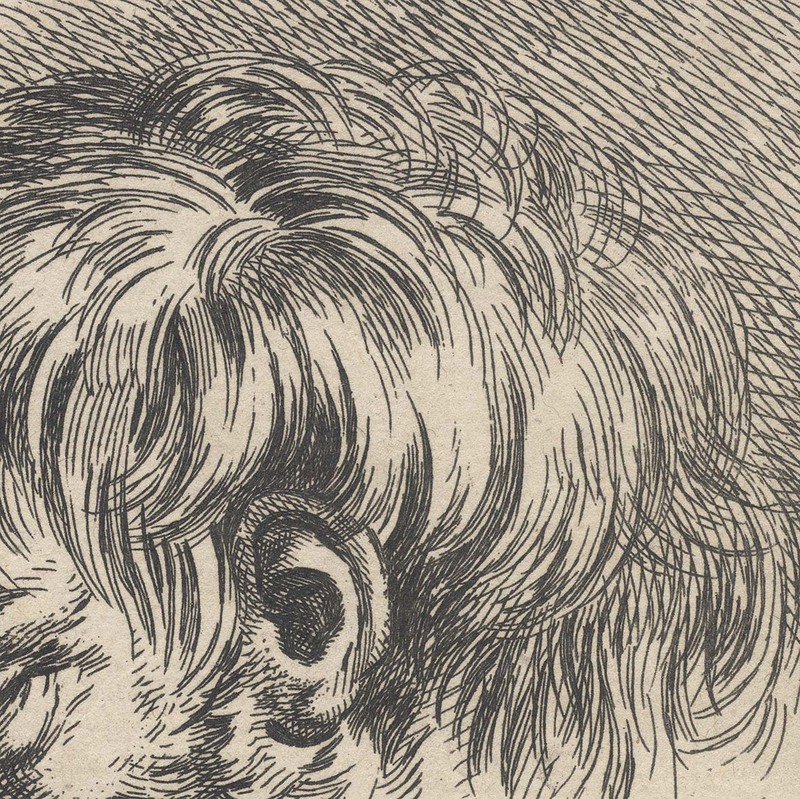 there are no tears, holes, folds, abrasions, stains, foxing and with minimal signs of handling). 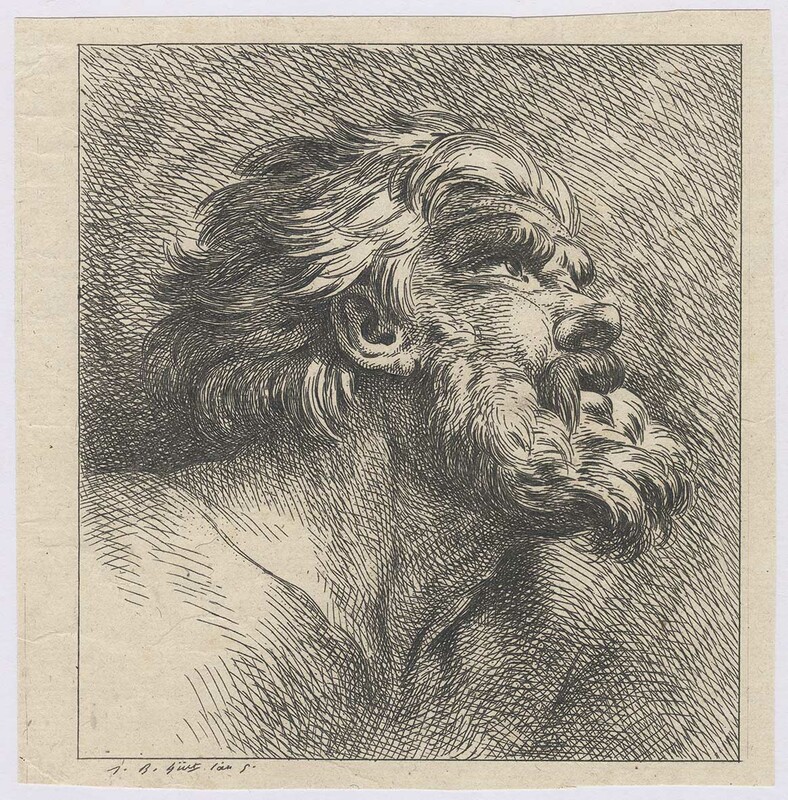 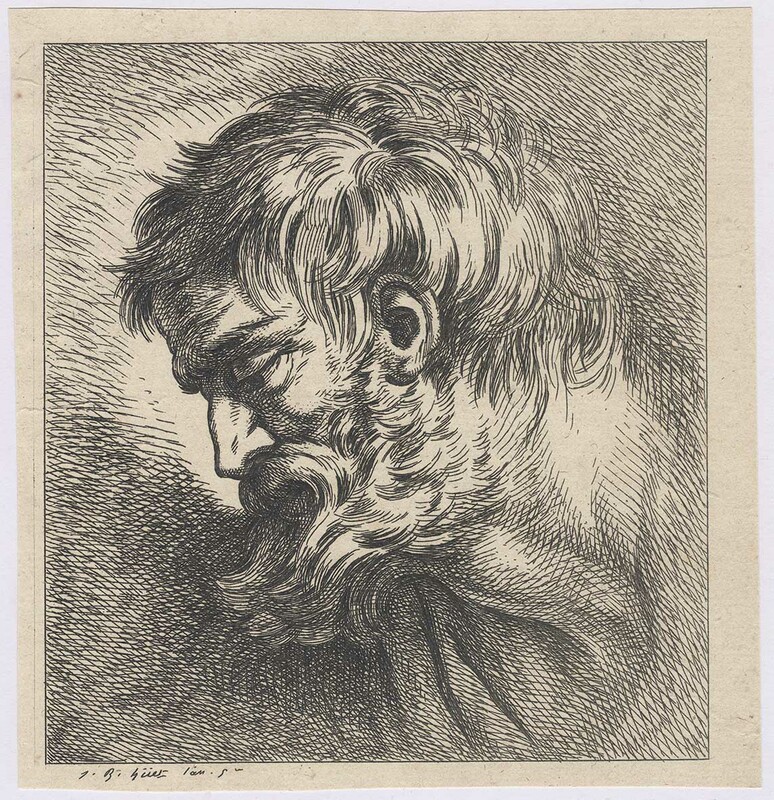 “Head of a bearded man, in profile to left, looking downwards”, 1796/7, the middle-right section of plate 10 from the series of 38 plates, “Oeuvres de J. 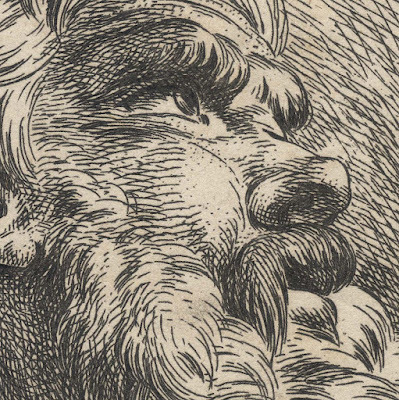 B. Huet”. 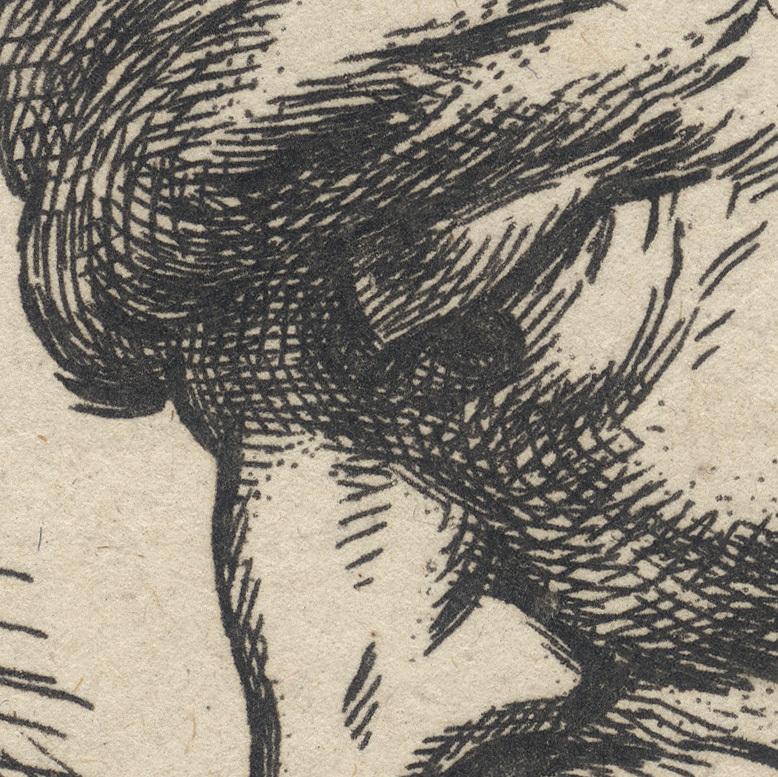 Condition: faultless impression, trimmed irregularly from a larger composite image—this is the middle-right section—with margins around the image borderline in near pristine condition (i.e. 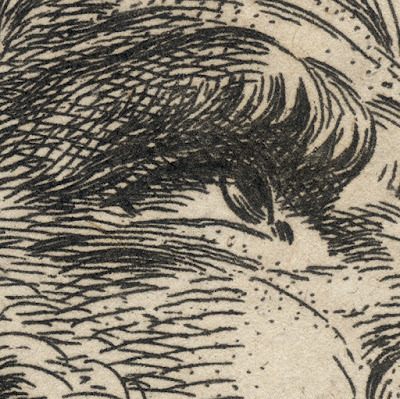 there are no tears, holes, folds, abrasions, stains, foxing and with minimal signs of handling). I am selling this pair of etchings extracted from a larger composite image by a previous collector for AU$200 (currently US$147.72EUR126.18/GBP112.66 at the time of posting this listing) including postage and handling to anywhere in the world (but not, of course, any import duties/taxes imposed by some countries). If you are interested in purchasing this pair of etchings by Huet, please contact me (oz_jim@printsandprinciples.com) and I will send you a PayPal invoice to make the payment easy. 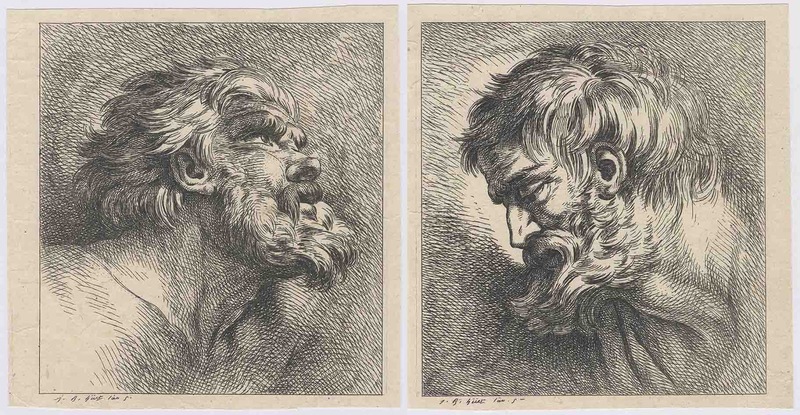 To my eyes these head studies seem to have their origins in the work of Rubens. Whether or not this attribution to the master of the Baroque Age is correct is probably irrelevant. After all, the theatricality of the lighting, the angling of the heads along with the captured narrative of what their faces express and the curving flow of the linework that animates the heads—brings them “to life”—has the hallmarks of the Baroque period style with which Jean Baptiste Huet is historically affiliated. 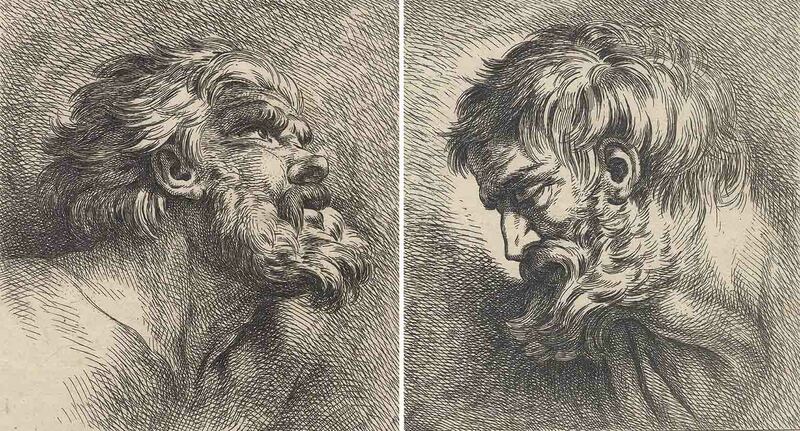 From a personal way of looking at Huet’s technique, I am impressed by the way that he “clusters” his marks to give the illusion that he has used a broad drawing implement for the closer features of the heads while the lines describing the energised background are by contrast comparatively fine. 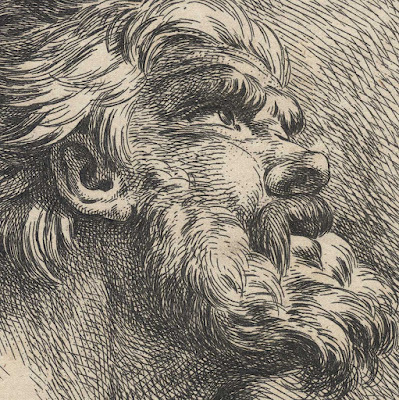 I am also impressed that Huet uses dots to give variation to the length of his lines and alternates between creating the illusion of white/negative lines and black/positive lines in his modelling of hair and beard. Indeed, Huet is so skilful in his depiction of the figures’ facial hair that there is no doubt (at least in my mind) that these men are blonde/light haired—perhaps Norsemen?